A lovely side dish for simple grilled chicken or serve as a vegetarian main course with a fresh green salad and crusty bread. 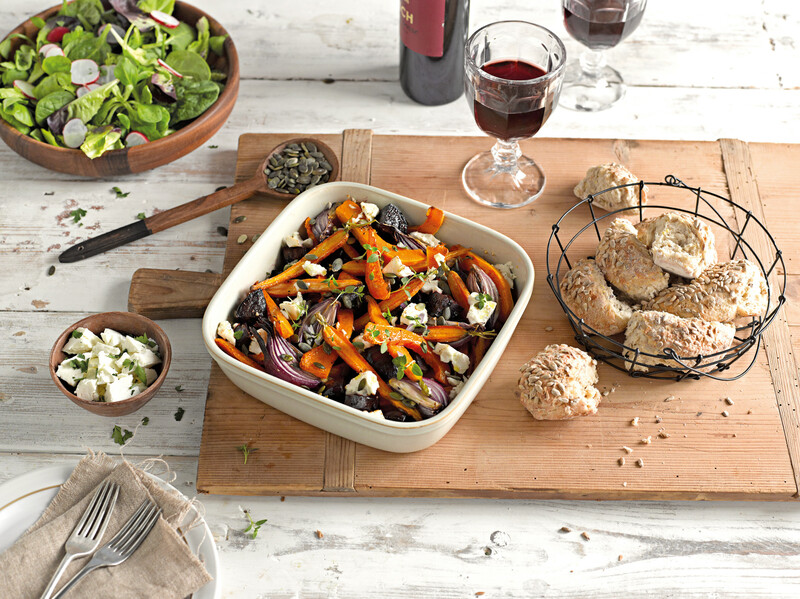 Cut the beetroot into large chunks and place into the Denby Square dish with the sliced squash, onions and carrots. Season well with black pepper and a pinch of salt. Drizzle over the olive oil and toss to coat all the vegetables. Bake for approx 30 minutes until the vegetables are almost tender but not quite, turning half way through cooking. Scatter over the thyme, pumpkin seeds and feta cheese and return to the oven for a further 10 minutes until the cheese is just starting to go golden at the edges. Serve as a main or side dish.